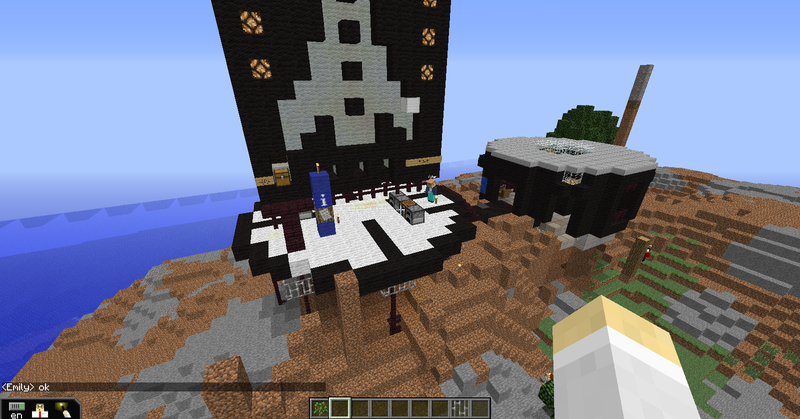 Yesterday I had the students start on a new map, Escape from Everest, created by The Minecraft Teacher – Joel Levin. I let students know that this map would take cooperation in order to complete and that they would need to read the information blocks to discover exactly what they needed to do. I also mentioned that there are resources throughout the island, but they are limited so it would be important to share. I then turned them loose. It’s fun to immediately hear the buzz as the students begin sharing their discoveries. I try to promote using the in game chat to get them typing and reading as much as possible. It seemed that most of my suggestions about sharing discoveries went unheeded though. As I looked around there were students with completely full inventories and others with nothing. After many complaints, especially about people stealing glowstone from the fuel canister, and requests for various items, a few of the students began to work together. We will continue on the map next week. I am debating about sitting them down before to see if they can hatch out a plan or just let them work and see what happens. I am leaning toward using last week’s experience as a teachable moment to lead a cooperative discussion about what could be done differently to get the required materials for the rocket.